Thank you for taking a few minutes to learn more about a Faculty Guild fellowship to support your own teaching. Before we dive in, let's hear directly from Joyce Lindstrom, a professor of Mathematics, on her experience with the fellowship. Then, scroll down to learn more details. 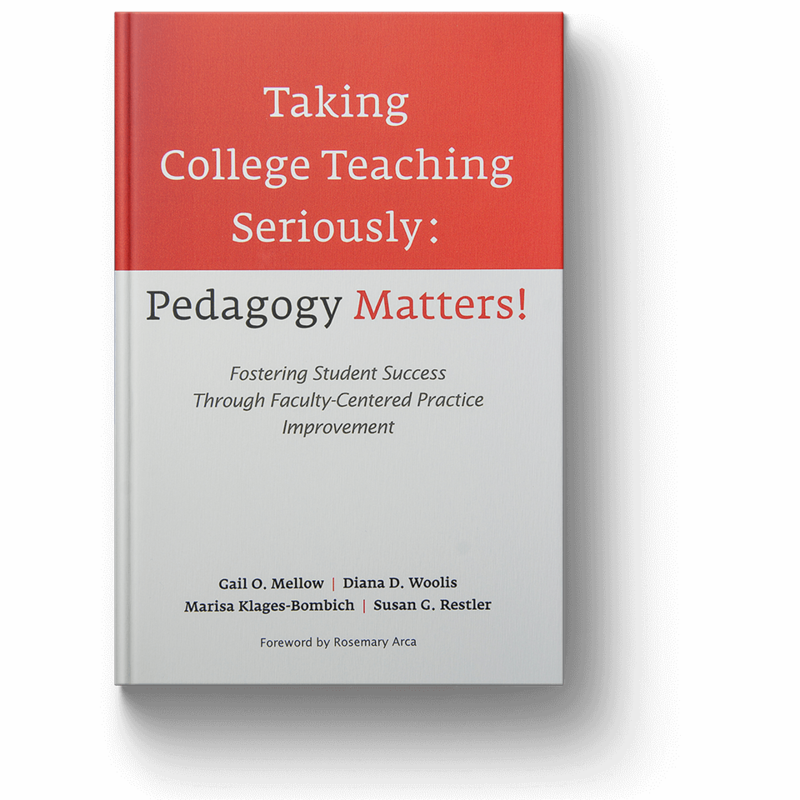 Documented in Taking College Teaching Seriously: Pedagogy Matters! Our purpose is to not just reinforce your comfort with instructional theories and approaches, but also help you build a systematic way to think about your teaching. If you are like most faculty members, you have limited time to connect with your peers and often don't share a vocabulary about your respective teaching approaches. In our fellowship program, you’ll join a small, online circle of professors teaching similar disciplines – often at other institutions. Together, you'll reflect on your classroom work, connect it to evidence-based instructional practices and get the personalized support of a peer facilitator. As a result, you’ll have the space to make gains in your teaching in a way that is hard to find without a community to support you. At the heart is a reflective practice designed to increase mindfulness and purposeful teaching. Each week, through our easy-to-use and mobile-friendly web platform, you can capture the purpose, activities and outcomes for a recent class. Then you’ll read your peers’ reflections and share feedback with each other. Your facilitator will also share with you short videos or readings about your recent teaching, personalized for you, not generalized advice which may not be relevant. Through this reflection cycle, you have a moment to think about what you’ve done in the classroom. And how you might make it better going forward. The key to this approach is that it starts with you. The evidence is what you are already doing in class. And the outcome is what you choose to do with what you’ve learned. As part of your reflection, you’ll tag your actual classroom work with evidence-based instructional practices derived from research on good instruction. The result? You'll have a common language of pedagogy that is relatable to all faculty – from new hires to experienced professors. It's fine if you aren't familiar with all 20 practices, we'll explore them together through the fellowship. Source: Taking College Teaching Seriously: Pedagogy Matters! We know you have a packed schedule. But we know it's worth investing in yourself. Compared to other professional development programs that ask you to watch videos or attend workshops – our research-based approach takes a different view. And yes, it takes time. Between one and two hours a week, typically for one to three academic terms. While we can’t magically give you more time, we do make it easy to reflect on your work and participate in a community – from the convenience of your computer or mobile device. 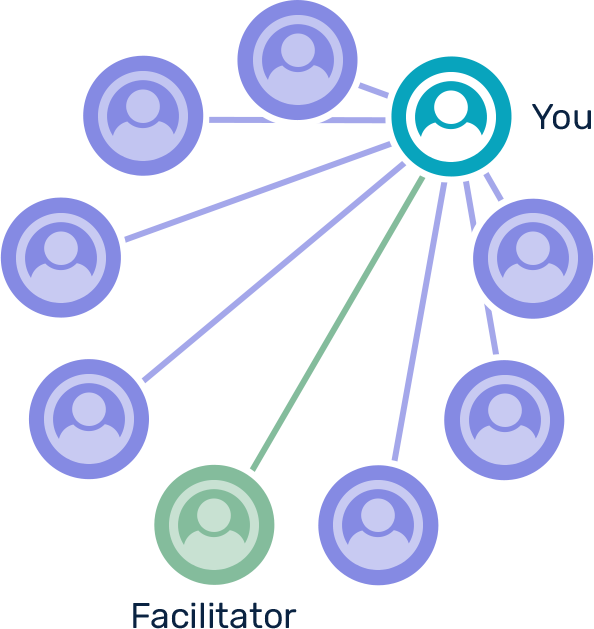 Do you enjoy connecting with other faculty members? Teaching can be isolating and you could use a little community in a way that isn’t threatening or competitive. Are you curious about evidence-based teaching practices? Maybe you are already using them. Maybe you don’t know what to call them. Maybe you’ve never heard of them. All good. We’ll do it together. Do you want to improve by doing, instead of passively participating? Rather than being told what to do, you want to explore your own development, on your own time. Do you want to track your teaching approaches and improvement? Through a fellowship, you’ll develop a teaching profile that will show you which instructional practices you turn to naturally and which ones you may need to explore more deeply. There isn’t a right way – just your way. Are you able to make a weekly commitment? By signing up, you know you are making a commitment to your own teaching practice and the development of your peers. At this point, we hope you have a sense of what a fellowship involves. And we hope you will express interest in joining us. By completing this form, you are not committing to anything - other than being interested in a fellowship. Your institution will connect with you later to confirm your commitment. There are a limited number of seats available for the upcoming term so your feedback is important. The information you provide in this form will be shared with our point of contact at your institution. From time to time, we may also send you invitations to webinars and other events to learn more about Faculty Guild. Do I need to be teaching a course while I’m participating in the fellowship? Yes. Because the reflective practice is based on work you are currently doing in the classroom or online activity, you need to be teaching while participating in the program. I see that it is a 1-3 term commitment, what happens if I’m not teaching a class next term? The one to three terms do not need to be consecutive. With your institution's support, we can place a fellowship on hold for up to two terms. Besides having your institution’s sponsorship and currently teaching a class, all you need is a computer or mobile device with internet access. Faculty Guild facilitators are current and former college faculty who have strong interest and expertise in evidence-based instruction. They became facilitators by first participating in this reflective process, then by successfully being trained in the facilitation process. They have experienced many of the things you face every day. Their purpose is to guide the circle through the reflection process and the exploration of the instructional practices. Will my information and reflections be shared with my institution? Your personal information, including your reflections, will only be seen within your circle and by appropriate Faculty Guild staff. Your institution will receive aggregated, de-identified data about a cohort of faculty so they can get a sense for how the fellowship is progressing. You can also elect to share your information with other colleagues, your institution, perhaps as part of an evaluation process, or even the public. Your institution is contractually prohibited from requiring you to share your data. Are there ever face to face requirements? No. While some local programming to interact face-to-face with peers from your institution and to celebrate your success is recommended, this activity is optional. As part of the start of term orientation, you will be asked to participate in one or two synchronous online meetings to meet and engage with your facilitator and circle. All other work is online and asynchronous so you can do it on your schedule.